Hidden Herd puts a spotlight on the next wave of artists. 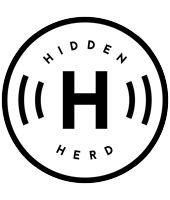 Hidden Herd is a music blog by Kulvin Kailey and Jim West, with a focus on all things new and unsigned. Launched in May 2015, our mission is simple: Discover exciting new music and share it. 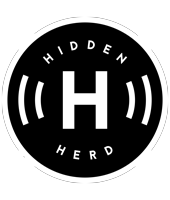 Want your music to fill the walls of Hidden Herd HQ and be considered for a New Music Spotlight, Interview or Live review? Submit a SoundCloud, Spotify or YouTube link on Facebook, Twitter, Instagram or via our Contact page.